BABESCH - Annual Papers on Mediterranean Archaeology is an annual peer-reviewed journal devoted to studies in Mediterranean archaeology in English, French, German, and Italian. Its aim is to present such studies as are likely to appeal to all with an academic interest in Mediterranean archaeology, whatever his or her specialization. The authors assume sole responsibility for the opinions expressed in their papers. This established journal publishes original research papers, short notes of wider archaeological significance and book reviews. BABESCH - Annual Papers on Mediterranean Archaeology is abstracted and indexed in Bibliography of the History of Art; L'Année Philologique; International Bibliography of Periodical Literature on the Humanities and Social Sciences / IBZ online; ERIH PLUS (European Reference Index for the Humanities and Social Sciences); Scopus. 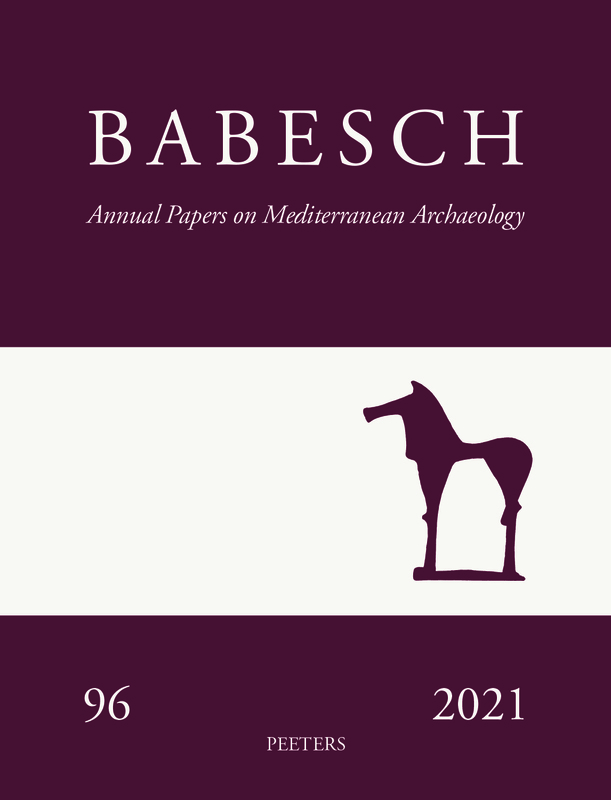 BABESCH - Annual Papers on Mediterranean Archaeology is a peer-reviewed journal. BABESCH publishes a Supplement series of books. The aim of this series is to provide an opportunity for publication of more substantial works of monograph length and collective works on particular themes.